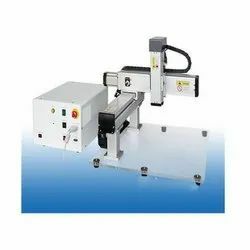 Wholesale Trader of a wide range of products which include benchtop/ desktop robot, benchtop gantry dispensing robot, robotic liquid dispensing machine, adhesive dispenser and robotic dispensing system. 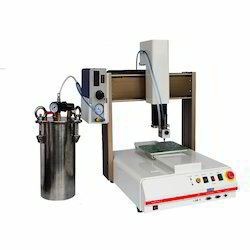 Benchtop robot saving costs in material waste, rejects, time and labor. 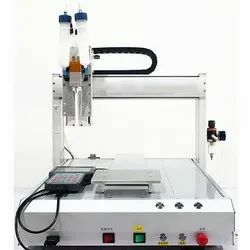 Desktop dispensing robot offer reliable operation with excellent repeatability for precise application of adhesives, liquid gaskets, resins and UV materials in many assembly and manufacturing processes. Dispensing system for advanced electronics packaging and semiconductor assembly. 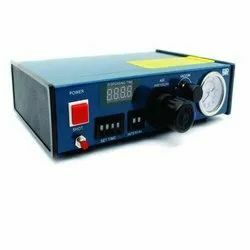 Dedicated to all kinds of metal jewelry adhesive, dispensing quantitative quasi-spit gum, fast. Widely used in jewelry industry. 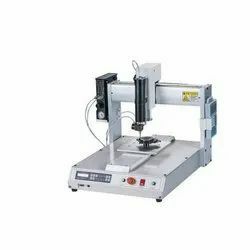 Floor-type design and gantry-style three-dimensional Transfer institutions may apply for a larger volume of product processing, pick and place parts more convenient, processed faster and providing greater stability. Dedicated to glass glue, high-viscosity glue sealant, polyurethane, silicone and other packaging.